Something to Muse About: The Diversity Chronicles #04 - "Ravi on iZombie"
Welcome to The Diversity Chronicles, an op-ed series that examines diversity and representation, predominantly in Western media. 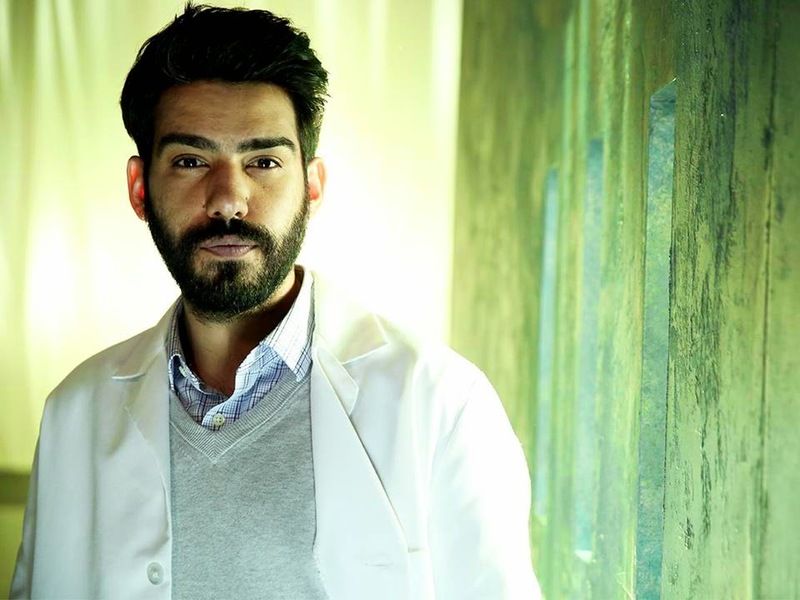 Rahul Kohli as Dr. Ravi Chakrabarti on "iZombie"
Vampires are so yesterday and today, it's all about zombies. So it's no wonder that zombie-related media content is on the rise, particularly with "The Walking Dead" consistently increasing in its ratings with each season. The CW is the latest network to jump on the zombie train with its new series, "iZombie," which premiered last Tuesday. The show centres around Liv, a former medical assistant turned coroner's assistant after finding herself in an undead, zombie state. But it's her boss, Dr. Ravi Charkrabarti, that's really piqued our interest. "I have so many questions. First, why the hot sauce? Is that a 'zombie' thing?" Within the first few scenes of the episode, Ravi is shown to have deduced that Liv is a zombie after picking up on the clues to prove so, and finally when he catches her chowing down on some brain-topped take-out. It's a solid introduction, as we can see that Ravi is not only brilliant, but actor Rahul Kohli is also able to display his comedic flair. There's a great deal of energy in his performance that grabs your attention immediately. Ravi is also quick on his feet and able to cover for Liv when she displays some not-so-typical abilities, with a seemingly silly yet effective story, that she's a psychic (sometimes). At first glance, an Asian playing a doctor/scientist may not seem like the most innovative casting choice. But even with this first episode, we see great potential for Ravi to break down some walls. Sure, there's an eager interest on his part to research Liv's condition but to the credit of the writers, they also make it clear that there's great depth to his caring about finding a cure. This is a man with heart and compassion, and genuinely concerned about helping people with what he sees as a treatable ailment. "It could take years. It's an uphill battle but so was polio. Why did you think I was running all those tests? What… you were expecting to stay like this forever?" In moving forward, there are a few things we're hoping to see to build on the foundation laid in the pilot. First, let's see Ravi and Liv's relationship develop further. Ravi is currently the only one to know about Liv's condition and even if that changes, he will always be the first. Whether these two stay platonic or become romantic, it's important that we see these two develop a strong bond and perhaps even be the core relationship of the show. Admittedly, we wouldn't mind seeing him get to rise up as a romantic leading man, as this is a character type rarely allotted to Asian men in Western media (particularly without grossly Other-ing them). Second, we need backstory. How did Ravi come to live in the States? What is his family like? What does he do for fun? Yes, he clearly enjoys what he does in the lab but surely he's got to do other things outside of it. Third, give him his own story. Don't make him defined by his relationship with and actions for his notably paler companion. Just because he's not the top-billed character does not mean that he can't have his own arc and character ups and downs. We'll be watching every week and keeping an eye on Ravi's character journey, as iZombie airs on Tuesdays on the CW at 9PM. What are your thoughts on the show and Dr. Chakrabarti? Tweet me your thoughts at @LadyJenevia.